Pete “Pistol” Maravich was the best scorer in college basketball history and his skills translated at the NBA level in a hurry. He was named to the NBA All-Rookie First Team and went on to make two All-NBA First Teams in his career. Maravich led the NBA in scoring in 1977 and was named to the NBA 50th Anniversary All-Time Team. 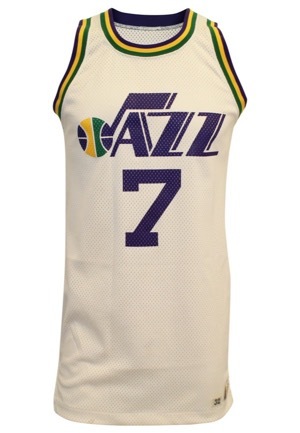 Maravich was inducted into the Naismith Memorial Basketball Hall of Fame in 1987. 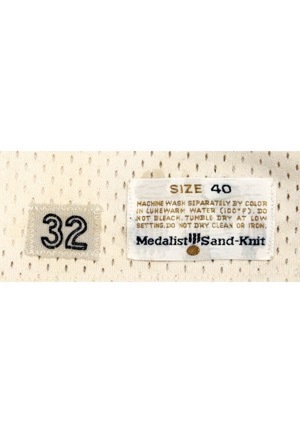 On the front left tail is the Sand-Knit manufacturer’s tag size “40” with washing instructions. Adjacent is a box tag reading “32”. 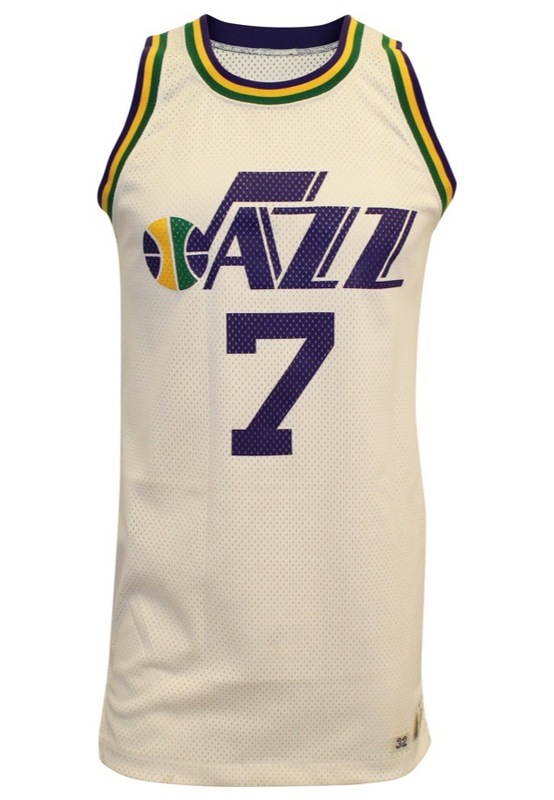 Across the chest reads, “JAZZ” and the player number “7” appears on both the front and on the back. These are painted in purple. Across the back reads the player nickname, “PISTOL” in purple tackle twill. The sides have been taken in which is a well documented trait of other photo-matched Maravich examples. 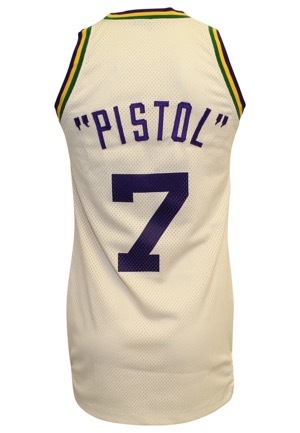 The back of the jersey originally read “MARAVICH” with the outline still visible and was replaced with “PISTOL”. The manufacturer’s tag is partially detached. This jersey is properly tagged, was presented to us as game-used and in our opinion, shows excellent use.